Before buying any Smartphone, people tend to look out for a number of specs and features. One of the many is battery life which the brand offers. The reason why this has become an important distinction between buying and not buying a Smartphone is because Smartphones consume more battery as compared to normal phones which have almost died. Sometimes, people get stuck due to complete discharge of battery ailing to which they may face economic or emotional turnaround. So, here are some tips ‘n’ tricks for top-notch brand Samsung S5’s users to make the most out of the 2800mAH battery which Samsung Galaxy S5 supports. 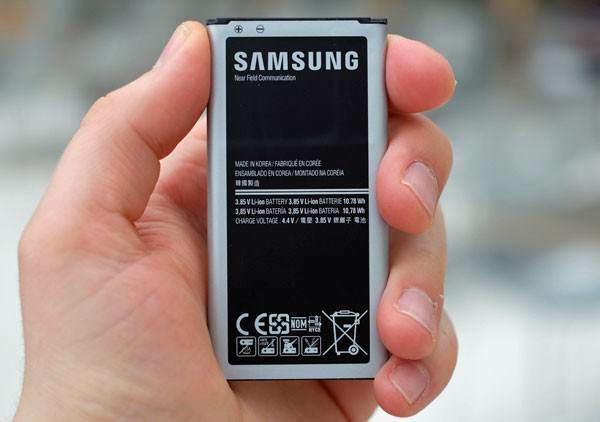 It’s more than sufficient for a normal user if the Samsung S5 battery makes it through a day. The very first point is to analyze which application is taking the most battery life. One can go and surf the settings menu to see the descending order of the applications which consumes most of the battery’s life. Get rid of all the applications if you are not actually using it. Avoid changing home screen wallpapers and animated screen savers frequently. Remove unwanted widgets and especially live wallpapers. It is not advised to download applications from unreliable sources, so dumps all the unwanted applications running in background which may harm your privacy. Always keep brightness of the screen on auto mode so that the sensor automatically adjusts according to the light which will definitely save battery. Do not forget to update the applications as Samsung S5 provides auto update functionality too that can be a big help in order to keep a track on app updates. Signal strength can also be among the many battery consuming factors. However, you may not be able to do much about this but you may choose your service provider wisely. Keep Wi-Fi and Bluetooth in off mode when not required. You can also buy a battery case that will help as an additional battery source in case the battery runs out of charge but make sure that you buy it from a trustworthy site. These websites not only provide some of the best battery cases but they are also furnished with customer reviews and feedback that will help you to make a correct decision. You just need to follow these simple steps so that you never run out of power or you never have to stick to the charging plugs which are as bad as using a landline phone.